Chicago Archbishop Blase Cupich said a prayer and cut a ribbon at the new facility at Presence St. Joseph Hospital. 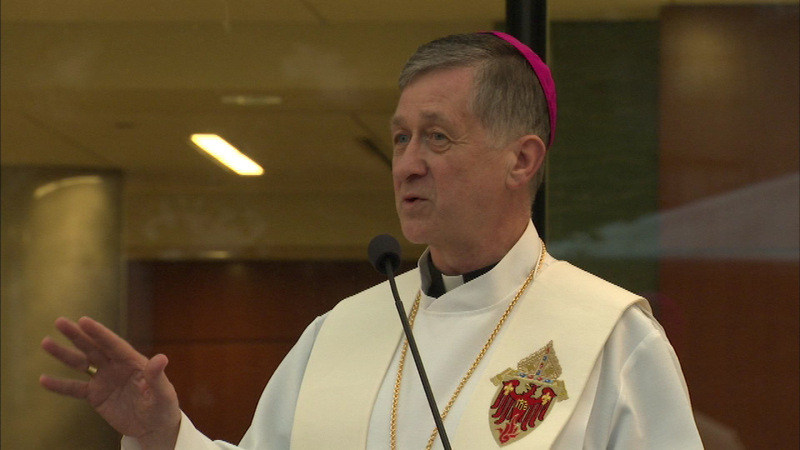 CHICAGO (WLS) -- Chicago Archbishop Blase Cupich said a prayer and cut a ribbon at a new facility at Presence St. Joseph Hospital on Wednesday night. The Presence Center for Advanced Care provides services for cancer care, holistic healing and a pharmacy.